Stan Breckenridge gave a music performance, and helped to judge a contest on students’ English speaking skills. Rather than speaking this was done through singing performances by students of various ages and group sizes: from soloist to a choir. 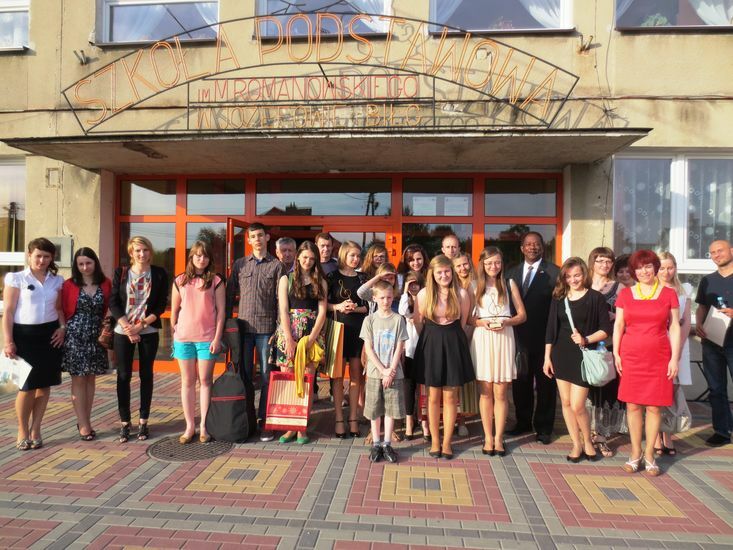 Dr. Breckenridge was asked by the U.S. Embassy in Warsaw to participate in this wonderful event. This student received the highest award for her singing as well as English speaking abilities.